What about those born into other religions? Isn’t God playing favorites? If you feel trapped in the religion of your upbringing, it would be worth asking yourself how this came about. The answer is usually some form of childhood indoctrination. If you are religious at all it is overwhelmingly probable that your religion is that of your parents. If you were born in Arkansas and you think Christianity is true and Islam false, knowing full well that you would think the opposite if you had been born in Afghanistan, you are the victim of childhood indoctrination. Sadly, Dawkins is likely correct for many religious adherents. Many people would attest that their faith is the result of their upbringing and they don’t have any answers to share to back up their faith besides pointing to the claims of their religious texts (Christians – the Bible is true because it says it is true) or their subjective experience during prayer (Mormons – just pray and you’ll feel the burning in your bosom that Mormonism is true). I know my faith is a product of my upbringing, and I don’t deny it. However, I and many other Christians point outside of our experience to observable evidence such as the fine-tuning of the universe for life on earth for the existence of God and we then point to the historical evidence of the person of Jesus Christ. The Christian faith is grounded in history and the authors of the New Testament pain-mistakenly made efforts to ensure their accounts portray this fact. You can sift through this blog more to find answers to back-up the validity of the Christian faith via historical examination, but I want to address this question from a different angle. 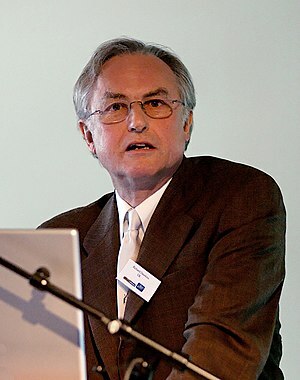 Since “child indoctrination” doesn’t apply to everyone who is a Christian, or follower of another faith, I think the complaint of Dawkins can be boiled down to fairness. If God is real and a correct understanding and truth about him and trust in him are key components of salvation, it’s not fair that some are born in positions where they likely will become adherents of the WRONG religion. Since this doesn’t seem fair, then God must not exist, because God must be fair. As I have answered previous questions from time to time, here I go again with a statement of validation, Socratic style answering, a straight answer, and Scripture to back up the answer. I know what you’re thinking. You’re thinking that I’m a Christian, because I grew up in a Christian family, a Christian culture, that if I grew up in Turkey, I’d likely be a Muslim, or that if I grew up in India, I’d probably be a Hindu. I’d agree with you; it’s not always the case, but more often than not we are often a product of our environment. The apple doesn’t fall far from the tree as the saying goes. It seems as if God is playing favorites, since some people are born into lives that appear to be more fertile to having a relationship with him. The Bible is very clear that God does not show favoritism. He is the savior of all men. Jesus’ last words to his disciples before ascending to heaven were commands that they should make disciples of all nations. (Matthew 28:18-20) He even promised that it would happen and that the disciples would receive power through the Holy Spirit to accomplish that feat. (Acts 1:7-8) It is clear in Scripture that people from all races, nations, and tongues will have salvation and be with God in heaven. This is already evident now if you look on a map of the spread of religions. Christianity is the only religion that is diverse enough to have spread across the globe, breaking through all sorts of barriers of language, culture, ethnicity, and lines of nationality. Jesus even promised that the end would not come until the Gospel has been preached to all nations. (Matthew 24:14) It is clear that Jesus does not show favorites due to place of birth.